The range consists of E14 and E27 screw bases and 5 bulb shapes which are clearly visible through the transparent packaging that helps immediately understand what type of a LED bulb you need. 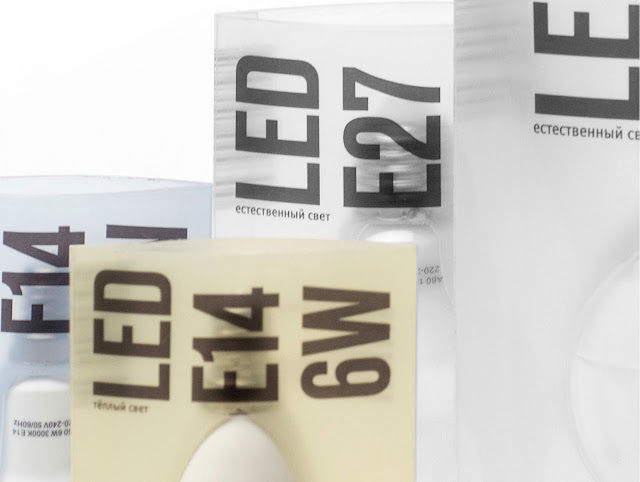 The packagings are coded with 3 colours depending on color temperature in Kelvin: white packaging colour is for natural light, yellow colour is for warm light and the blue one is for cold light. 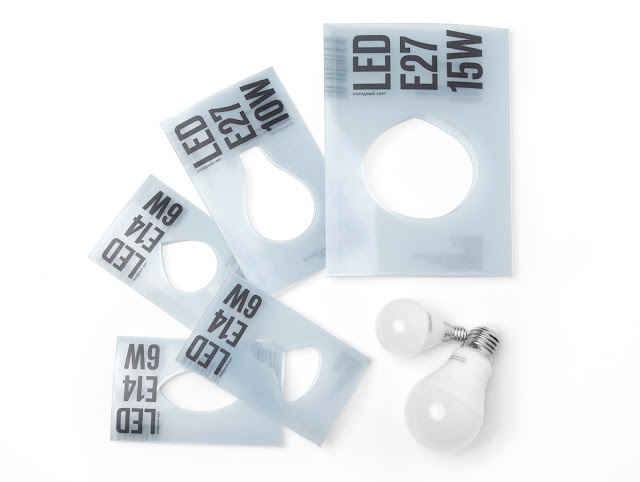 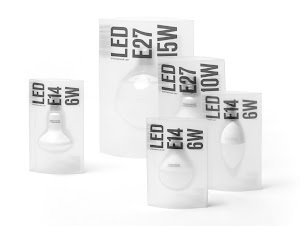 Also the typography on the front side of the packaging supports the idea of transparancy and includes the short main information about the LED bulbs: a LED type, color temperature, a screw base and watts . 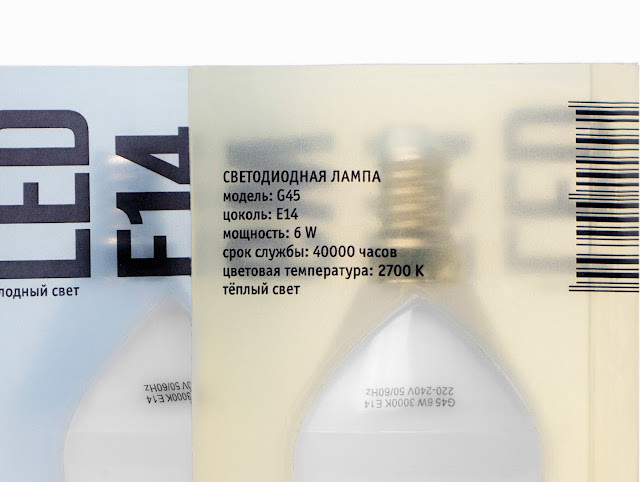 On the reverse side all the technical characteristics are written in detail. 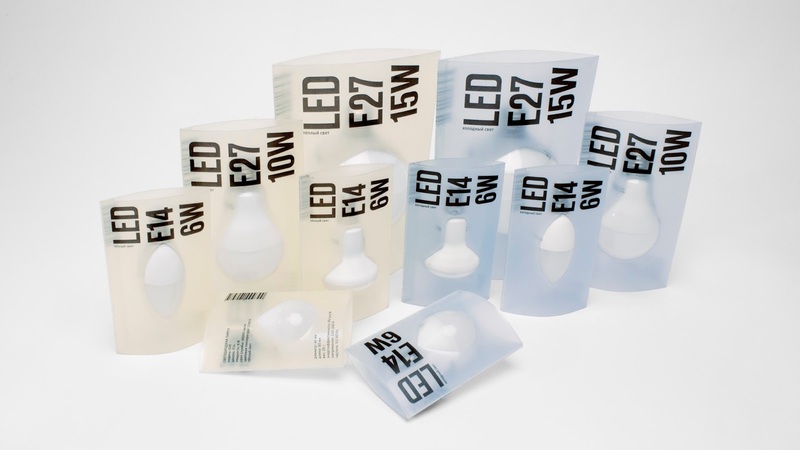 There are often a lot of opened light bulb packagings in supermarkets due to the fact that people can not find out in crowded amount of complex technical information on the packagings as well as they do not see the light bulbs themselves only the picture because packagings are totally closed and people do not want to spend a lot of time to find and read necessary information. The project task was to make the purchase of light bulbs simpler and more user-friendly. One of the features of modern LED bulbs is that their body is made of composite materials that make them impact resistant. 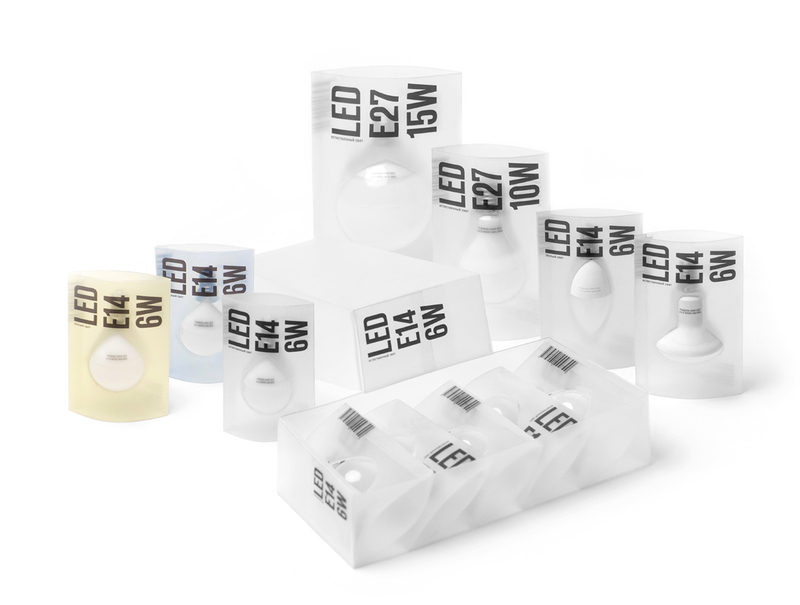 This feature has allowed to create maximally transparent packaging for LED bulbs in a broad sense.